In its latest foray into the print-related industries, Platinum Equity, one of the world’s largest private equity firms, announced the acquisition of Multi-Color Corporation in a take-private transaction. 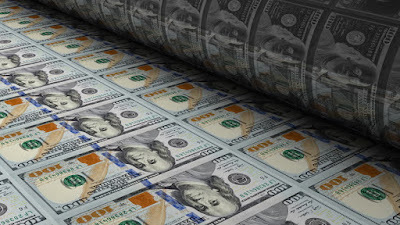 This is the latest transaction of many in which the investment firm has taken a positive position in businesses that put ink on a substrate. With $13 billion under management, Platinum has completed deals over the past several years in packaging, plastic cards, mail processing equipment, direct mail marketing programs, and pressure-sensitive papers, among others. 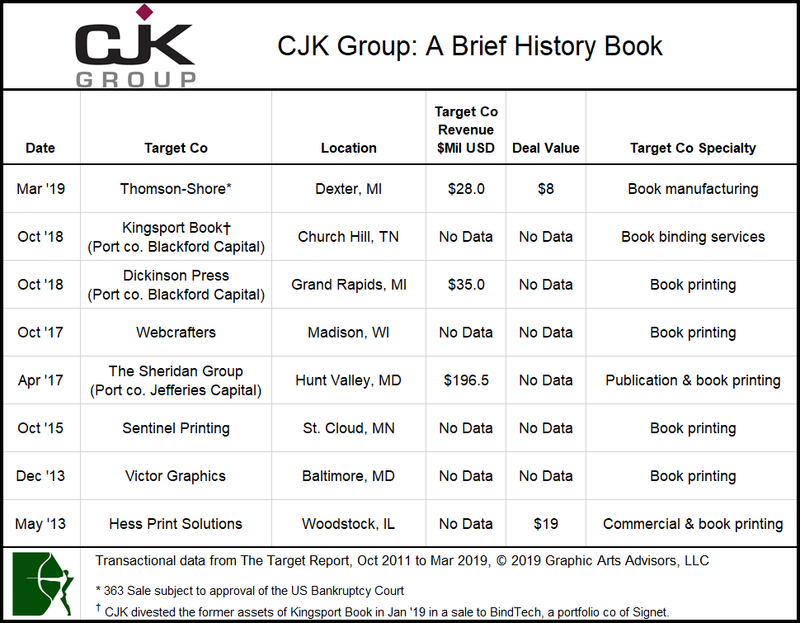 The folks at Platinum who are charged with making smart investments have clearly decided that there are opportunities across the broad spectrum of companies that operate in print-related activities. Platinum announced that it plans to combine Multi-Color with WS Packaging, the label and packaging company it acquired one year ago in February 2018 from private equity firm J.W. Childs. 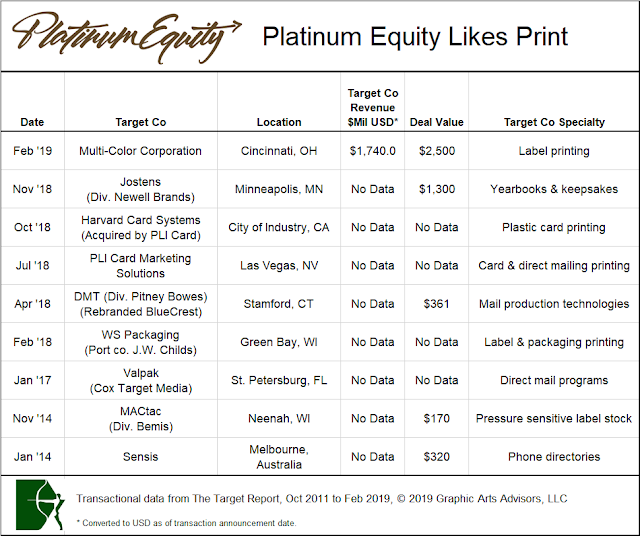 With Platinum Equity’s back-to-back acquisitions of these different, but highly complementary companies, the result will be a global producer of label technologies, including pressure sensitive, cut and stack, wraps, aluminum, in-mold, shrink sleeve, heat transfer, RFID and NFC, as well as flexible packaging and folding cartons. The combined company will compete in the increasingly global business of packaging and will have production facilities across the world: Multi-Color adds 71 plants in 26 countries to the 17 locations WS Packaging operates across the US. Multi-Color, headquartered in Cincinnati, Ohio, is the result of a focused and steady drumbeat of acquisitions in the label printing segment, most significantly demonstrated with the acquisition of the label division of Vienna, Austria-based Constantia Flexibles. 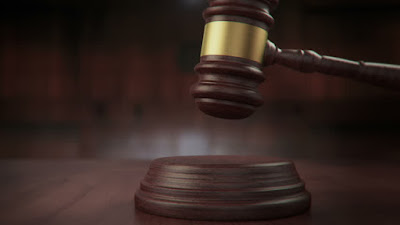 That transaction not only positioned Multi-Color for the eventual sale to Platinum, it was also afforded Constantia a “second bite of the apple” since it became a 28.7% shareholder of Multi-Color in that deal. Accordingly, Constantia will reap the benefits of Platinum’s purchase: a 32% bump over Multi-Color’s recent publicly traded share price. 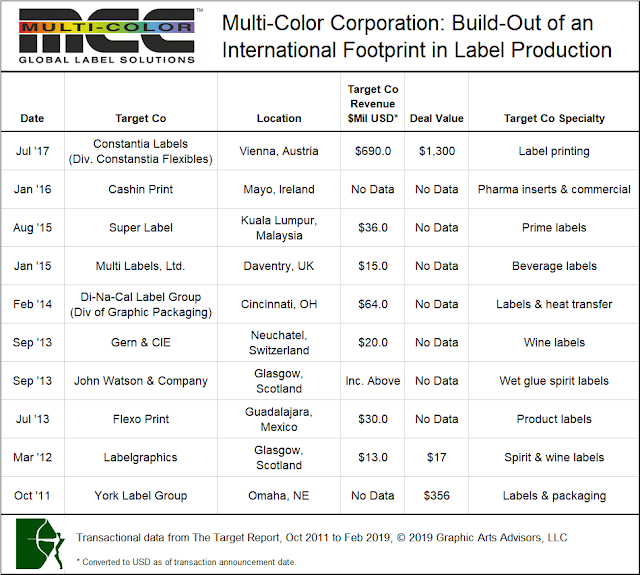 WS Packaging, based in Green Bay, Wisconsin, was much less active than Multi-Color on the acquisition front in the five years prior to its sale to Platinum in 2018. Nonetheless, WS was also the result of a strategic roll-up of printing companies that focused on providing labels and related packaging products. The result was a powerhouse in US-based label, flexible packaging and folding cartons. Platinum has put its capital to work in print in more ways than just packaging. Over the past several years, the fund has consistently been willing to invest in the future of print in mature printing industry segments. The purchase of Pitney Bowes’ Document Messaging Technologies division, the maker of inserters, printers, sorters and related software was a vote of confidence in direct mail. The acquisition of PLI Card Marketing Solutions and subsequent bolt-on of Harvard Card Systems, both printers of plastic cards used in loyalty and membership programs, was a vote of confidence in the perception of value one gets when holding a substantial printed item. The purchase of Valpak, the direct mail producer of those ubiquitous blue envelopes stuffed with local coupons, was a vote of confidence that recipients respond to print that arrives at their doorstep. The purchase of Jostens, publisher and printer of yearbooks, was a vote of confidence in the desire of students to remember their accomplishments with a book that will last for years. Beginning in 2014, with the acquisition of the company in Australia and New Zealand that publishes phone books, this private equity fund has voted to invest in the future of print. EP Graphics, based in Berne, Indiana, acquired the remaining business of McCormick Armstrong in Wichita, Kansas. The acquisition was disclosed shortly after McCormick Armstrong announced that it was closing down after 118 years of continuous operation. The shuttered company was a combination web and sheetfed offset printer, and also offered digital printing, mailing and fulfillment services. Two printing companies that exclusively serve print distributors changed hands. PDF Print Communications, located in Signal Hill, California, acquired Orion Press, a forms printer in Phoenix, Arizona, and announced plans to tuck the operations of Orion into its existing operations in Phoenix. Royal Business Forms, which also sells only to the trade, was acquired in a management buyout. The Brooklyn Park, Minnesota printer specializes in forms and label printing.